You know that feeling of becoming obsessed with a color? Sara Emami does. 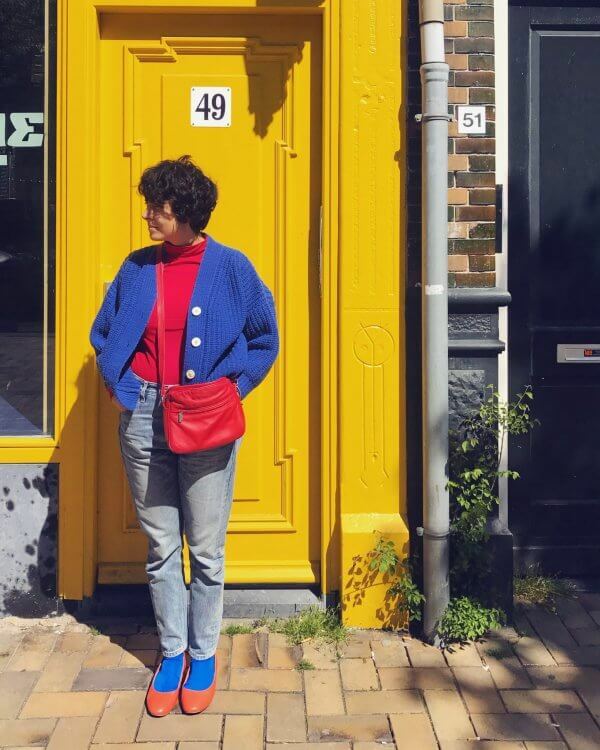 She’s an Amsterdam based designer who has a beautiful and longstanding relationship with blue and red, and it doesn’t look like it’s ending anytime soon. Sara is one of those artists who it seems as though they’ve been seeing the world through the eyes of a designer for their entire life. 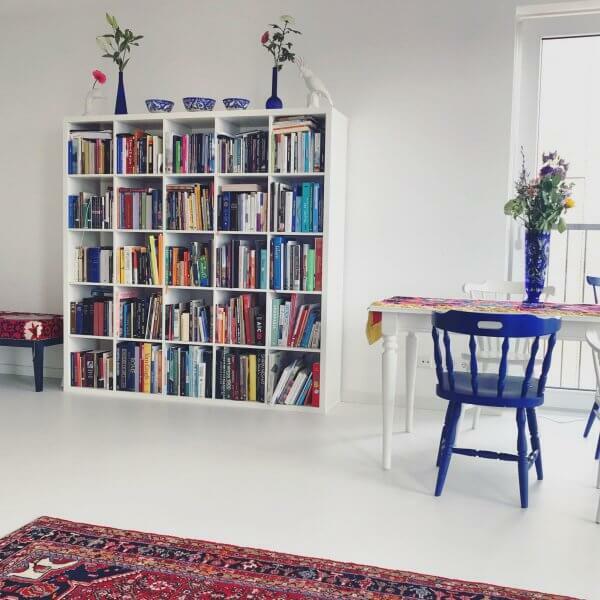 Welcome to her world of Persian rugs, blue bottles, and the most joyful refrigerator we’ve ever seen. Where are you from? And how did your upbringing inspire your love for design? 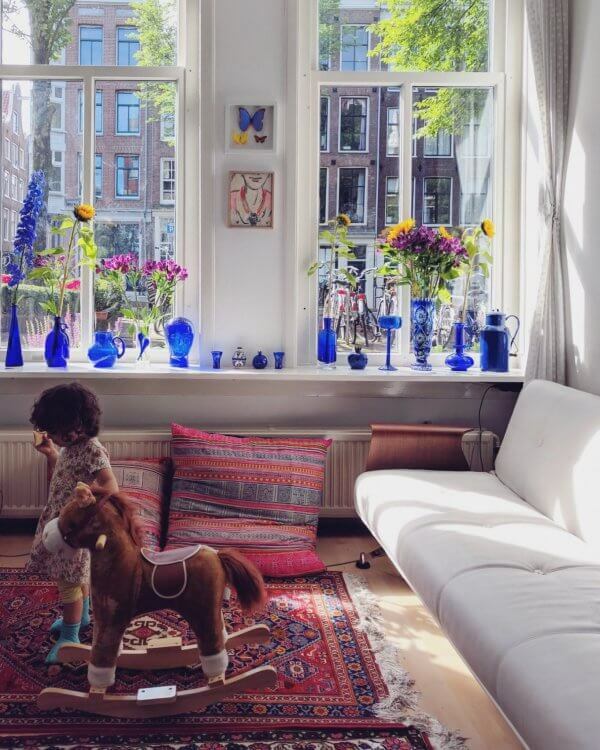 I was born in Tehran, Iran, but came to the Netherlands with my parents when I was one year old. My mother soon began to study at the Art Academy in Rotterdam, and because of that I remember I was always interested in art. My father, however, pursued degrees in electrical engineering and computer science. I guess I am really a product of my parents, because I chose to study industrial design, a compromise between the two poles of art and science. While growing up, I had always already been interested in the use of materials and the quality of everyday products. When did you first become aware that you loved color? We had quite a number of art books at home. I remember vividly how much I loved Miro’s Blue II. I would always open the book and look for that painting. I saw it for the first time in Paris at the Centre Pompidou when I was twenty-one. I could stare at it forever, that endless blue, that one red stripe and a couple of black dots: the perfect colors and combination. But I think I became really aware of loving colors not until my late twenties. 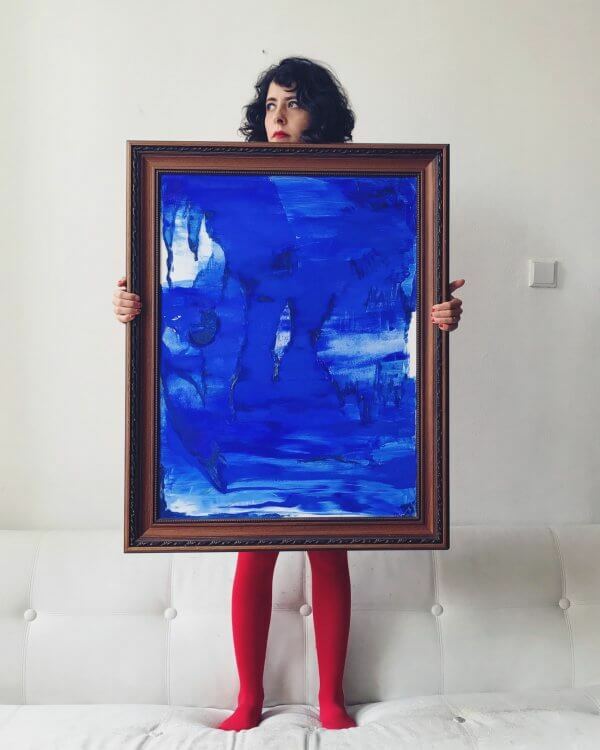 It all started when we had dinner at a friend’s house, who had an Yves Klein blue colored bottle to drink water from. I was so mesmerized by the color of the bottle that he gave it to me, and that’s how I started my blue bottles collection. All of a sudden it became an obsession. How does bright color make you feel? It’s probably a very cliché answer, but bright colors simply make me happy. 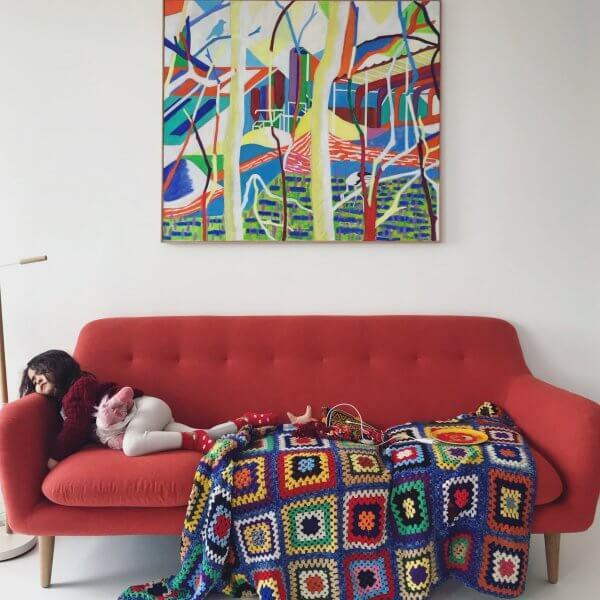 Life is already hard enough, so you might as well cheer yourself up by at least wearing colorful clothes or having pops of color in your interior. 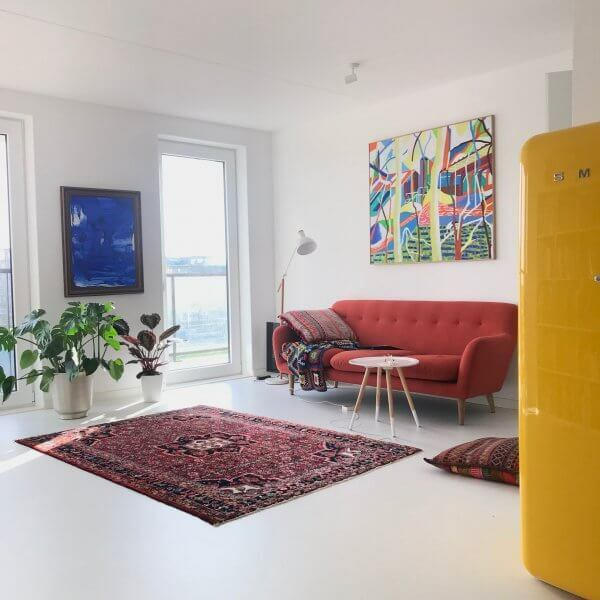 When it is grey outside, which it often is in the Netherlands, my yellow fridge at least makes sure my house doesn’t look depressing. If you have a colorful house, or colorful elements in your house, I believe that it will uplift your mood unconsciously. That’s how it works for me. How do you carry your love for color into your wardrobe? It has taken me some time to embrace my love for colors when it comes to clothing. I was always wearing color, but was also hesitant to wear color only, so I would combine it with black. 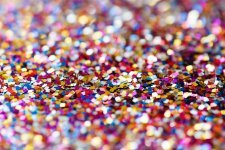 People associate colorful clothing with being childish, I thought, and since I’m also not that tall, there was the fear of not being taken seriously. But over the years I have become more confident and there is almost no black in my wardrobe anymore. 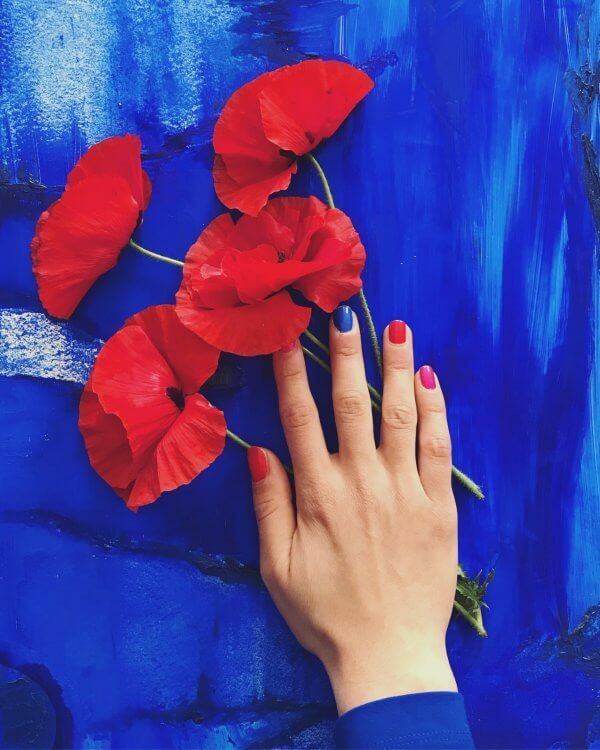 I like bold colors and I love to look for color combinations that I think work really well, like bright yellow and baby blue, red and pink, tangerine orange and cobalt blue. I find monochrome outfits also interesting, for example different tones of blue in one outfit or red tights with red shoes. Combining colorful shoes with colorful socks or tights have also become a hobby these days. What advice would you give to someone who wants to incorporate more color into their life, but doesn’t know where to start? Your complete outfit doesn’t need to be colorful, but it could look interesting by using a bright belt, or colorful socks, or red laces with your brown leather shoes, or just a pair of colorful earrings while the rest of your outfit is really simple. Or if you’re afraid to use popping colors, start with pastels. When it comes interiors, a colorful fridge, a colorful cupboard, or one bright colorful carpet can already make a complete difference. Flowers in a vase on your dining table can change the atmosphere of your living room completely. What colors make your home feel like home? Blue because of my obvious blue obsession. Red, because the feeling of home to me is not only related to colors, but it is a combination of colors together with objects. And one of those objects that could never miss in my home is a Persian carpet. 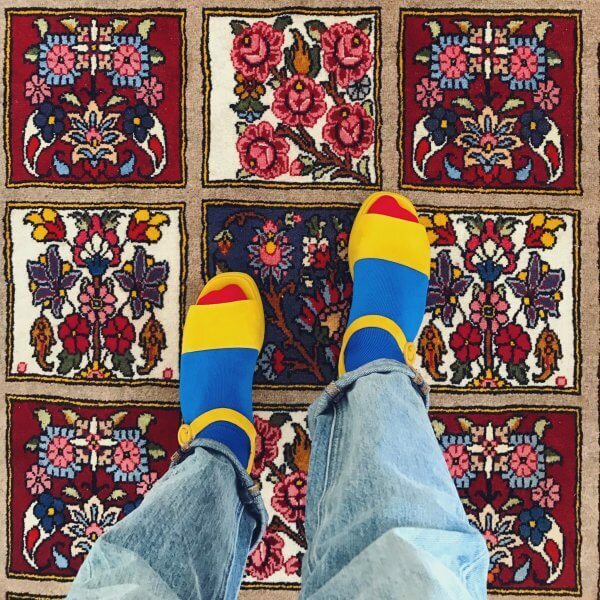 These carpets have a sentimental value for the Iranian diaspora. A carpet to us basically means, wherever you are in this world, if you have a carpet, it will make you feel at home. What advice would you give to someone who wants to bring more joy and color to their workspace? A nice way of adding color without it being too interruptive in such spaces are plants. Or, at least make your own desk colorful, with a bright pantone cup on your desk to drink your tea from, some colorful moleskines and colorful pens. What’s on your “Joylist” for summer? What can’t you wait to do? 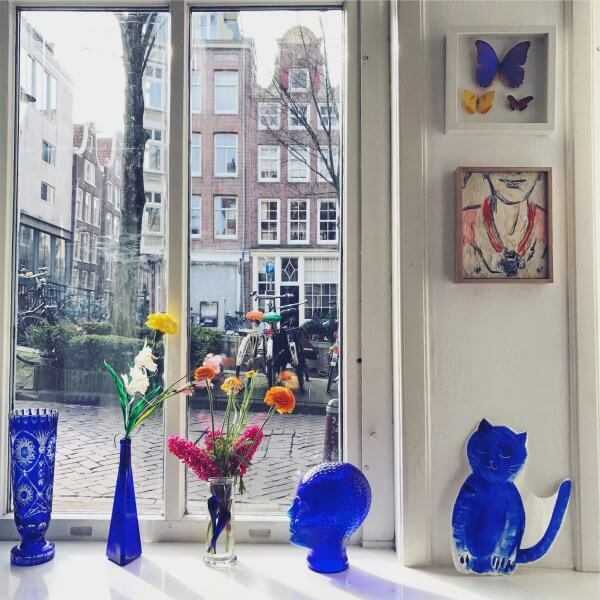 Exploring my new neighborhood in Amsterdam-East where we recently moved to and discover new spots. Knitting new projects and color blocking all of them whatever it is. Scarfs, blankets, headbands. Celebrating my daughter’s 4th birthday and making the party as colorful as possible. All images courtesy of Sara Emami. I love color too. Looking forward to seeing more of your ideas.